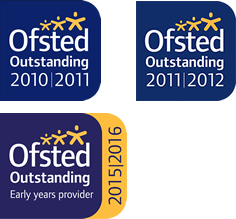 Another ‘Outstanding’ Ofsted result for wboosc – January 2016. We are proud to announce that Rachael, Tasha, Kirsty, Helen and Nic have all achieved new Team Leading Qualifications and Ed has gained his level 5 in Leadership and Management, driving home the commitment of all the senior team to be excellent leaders. The Playroom – Ofsted Outstanding Again! – November 2015 – Key findings for parents. Nutrition and Health qualifications inform new nursery menu.